Artwork completed by RVCC students in the College’s Visual and Performing Arts Department during the past year—since the Fall 2016 Semester—will be featured in the juried show. The artwork will include a wide variety of media including ceramics, painting, drawing, sculpture, graphic design, multimedia, photography, illustration, interior design, video and printmaking. Each student was permitted to submit up to three pieces of artwork for consideration. The guest juror for this year’s exhibition is Tom Moran, Chief Curator at Grounds For Sculpture in Hamilton. Moran will evaluate all the entries, make the final selections for the exhibition and determine the award winners. Moran has lectured throughout the United States and internationally and served as a grants review panelist for the New York State Council on the Arts, the Oscar B. Cintas Foundation and other organizations. He received an MFA from Rutgers University. Gallery hours for the RVCC Art Students Juried Exhibition are Mondays, 3-8 p.m.; Tuesdays, 10 a.m.-3 p.m.; Wednesdays, 3-8 p.m.; Thursdays, 10 a.m.-6 p.m.; and Fridays, 1-4 p.m. For further information, contact the Visual and Performing Arts Department, 908-218-8876, or visit www.raritanval.edu/arts. 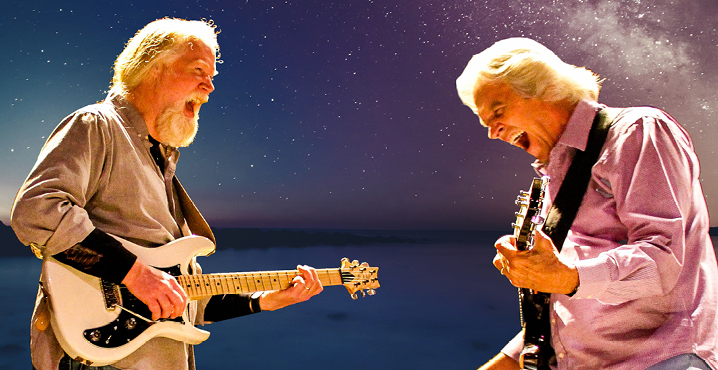 TICKETS: $25 for adults, $15 for seniors and students, and free for children under 12. For more information on this evening, please visit www.lsonj.org or call (973) 980-1809. The Fanfare Overture composed by Rick Ippolito, has a special significance to our illustrious Maestro LaGruth. The work is “Dedicated to Anthony LaGruth and the Garden State Philharmonic in Commemoration of Maestro LaGruth’s 5th Anniversary as Artistic Director.” Bold and triumphant, the piece serves as a wonderful celebration of the effort and dedication shown by Maestro LaGruth. The Concert Suite from Dances with Wolves is compiled from the soundtrack written by Oscar winner John Barry for the 1990 movie starring Kevin Costner. Arranged by Steven Rosenhaus, the suite features several prominent and moving themes of the movie, including Two Socks at Play, the Love Theme and the John Dunbar Theme. The music is full of a rich elegance and rustic sound to match the setting of the plains. Hexenritt, written by Engelbert Humperdinck, is a musical prelude to Act II of the opera Hansel and Gretel. Written in 1892, the opera tells a version of the fairy tale of Hansel and Gretel, who, after becoming lost in the forest, are caught by a witch in a gingerbread house who wishes to turn them into gingerbread and eat them. Yet, these clever children are able to turn the tables on the witch, turn the magic back onto her and escape, freeing other children in the process. The hexenritt, or Witch’s ride, comes after the audience learns of the witch’s existence in the story, and is meant to suggest the witch flying around the forest on her broomstick looking for children. The Symphony Fantastique is the work most closely associated to Hector Berlioz. The work is comprised of five movements, each of which tells part of a coherent story. In the story, a young artist, Berlioz himself, poisons himself with opium in a fit of despair over a hopeless love and sinks ever deeper into hallucinations that include his murder of the girl and execution for the crime. The girl is an idée fixe, an obsession with him, and is represented in each movement by a musical theme that changes subtly based on the theme of the movement. Throughout the work, you can feel and hear the change in his perception through musical motifs, culminating in a whirlwind of a finale certain to electrify. Audience members can expect professionalism and enlightening commentary from affable maestro, in a convenient suburban wheel chair accessible venue, with Free adjacent parking. Phyllis Chapell has spent her life developing a universal musical style, singing "world songs." Her repertoire includes songs in 13 languages from Brazil, Latin America, Europe, Africa, and the Middle East, as well as American folk, jazz, and popular music. She also has a repertoire of award-winning original songs. Phyllis has performed and recorded with countless other individuals and groups, including Intercultural Journeys—a multicultural ensemble founded by Philadelphia Orchestra cellist, Udi Bar-David. WEN: Friday, November 3, 8:00 p.m.; Saturday, November 4, 8:00 p.m.; Sunday, November 5, 2:00 p.m.; Friday, November 10, 8:00 p.m.; Saturday, November 11, 8:00 p.m.; Sunday, November 12, 2:00 p.m.
TICKETS: $25 General. $22 Seniors. $15 Student (with college ID). $4 for Bloomfield College students (College ID required). 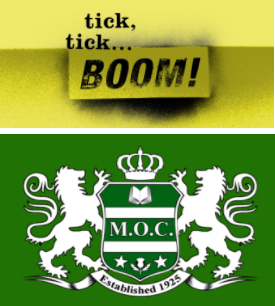 Tick, Tick... BOOM! is a musical written by American composer Jonathan Larson, who won a Pulitzer and three Tony Awards for his musical Rent. Tick, Tick... Boom! tells the story of an aspiring composer named Jon, who lives in New York City in 1990. Jon is worried he has made the wrong career choice. The story is autobiographical, as stated by Larson's father. TICKETS: $45 tickets (which include dinner, show, and dessert) can be purchased online at www.lastradaensemble.org or by calling (732) 455-2748. Murder (written by La Strada veteran, 23 year old Brick resident, Dennis Gribben) offers theater-goers the rare taste of mystery heavily sprinkled with laughs. Gribben has created something truly unique in Murder on the Paradise Line a Two Act comedy about a murder mystery on a train. His characters are rich and outlandish, fast talking and familiar (in a 1940s screwball comedy fashion) but the show itself is utterly one-of-a-kind. Opening at La Stradas homebase at the Jersey Shore Arts Center 3rd floor Café space on November 3rd through the 5th, Paradise is a perfect pairing of delicious fare and fabulous farce. Each audience member will enjoy a sumptuous meal pre-show and dessert and coffee at intermission. he show itself is set in the dining car of the economically failing Paradise Line a once beloved entertainment excursion train which has fallen on hard times. The audience is introduced to Monty Marmamilton and his business partner Robertson whose relationship has soured over the years due to bad business, as well as several other odd and interesting characters including: an overprotective mother, a hot tempered Irish chef, a less than reliable Russian dancer, a bumbling train conductor, and Marmamilton’s much younger wife who moonlights as a showgirl. As the train leaves the station, the lights go out and, when they flicker back on, someone is shot dead! Who has committed this murder most foul? Its up to Detective Nebbirg and his not-so-welcome assistant, Alex, to interrogate those onboard, solve the case, and reveal The Blackout Killer before he (or she) strikes again! 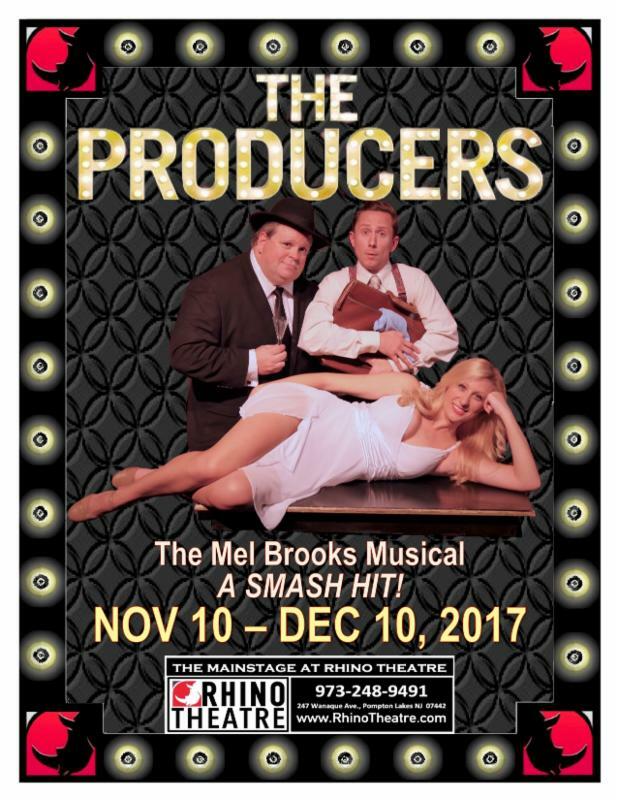 WHEN: October 26 to November 5; Thursday, November 2, 2:00 PM; Friday, October 27 (Opening Night) and November 3, 8:00 PM; Saturday, October 28, and November 4, 8:00 PM; Sunday, October 29, and November 5, 2:00 PM. There will be a conversation with the cast and creative team on Thursday, November 2, following the evening performance. TICKETS: $45 for the General Public; $40 for Seniors; $38 for Museum Members; and $20 for Students (18 & under or with valid college ID). Group rates are available. There is a $3 service charge per ticket. The show contains Adult Language. The play, which received the Elliott Norton Award for Best New Play in 2013, was a smash hit when it opened for a limited run on London’s West End. It contains Adult Language. The Rutgers Jewish Film Festival heads into its eighteenth run, bringing New Jersey a broad range of award-winning, international films. Of the 15 films being screened at the festival, 10 are New Jersey premieres and represent seven countries. Discussions with filmmakers, actors, scholars, and other noteworthy guests enrich the film going experience. WHERE: The festival will be held at two venues: AMC Loews New Brunswick 18, 17 US Highway 1 South, New Brunswick (AMC); and Princeton Garden Theatre, 160 Nassau Street, Princeton (PGT). The festival is sponsored by Rutgers’ Allen and Joan Bildner Center for the Study of Jewish Life. TICKETS: For festival schedule and ticket information, or to purchase tickets online, visit the website BildnerCenter.Rutgers.edu/film. Festival staff can also be reached by phone at 848-932-4166, or by email at rujff@sas.rutgers.edu. Film tickets are $13 with discounted tickets for seniors and students available. Advance ticket purchase is strongly recommended as screenings often sell out prior to the festival. Harmonia, a major contender at the Israeli Academy Awards in 2016, opens the festival with a special appearance by lead actor Alon Aboutboul. With award-winning cinematography and music, this stunning drama is a modern twist on the biblical tale of Abraham, Sarah, and Hagar, set against the musical backdrop of an orchestra in Jerusalem. Opening night also includes a buffet dinner and dessert reception for festival sponsors. Two additional screenings of the film will be held: On October 31 at AMC, and on November 7 at PGT. 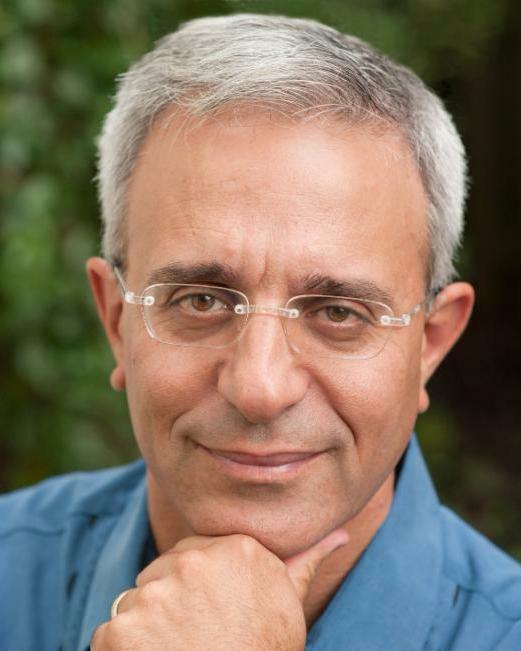 The festival features the New Jersey premieres of several Israeli documentaries that highlight the diversity of Israeli society, politics, and history. Ben-Gurion: Epilogue is a fascinating film based on recently discovered interview footage with the renowned Israeli Prime Minister David Ben-Gurion. The film’s director, Yariv Mozer, will speak about the making of the film at two of the festival’s screenings. The Settlers offers an intimate look at life inside the Israeli settlements in the West Bank and explores the historical factors that have led to the current situation. Dimona Twist shares the never before heard personal stories of seven women who immigrated to Israel in the 1950s and the challenges they faced in making lives for themselves in the tiny development town of Dimona. 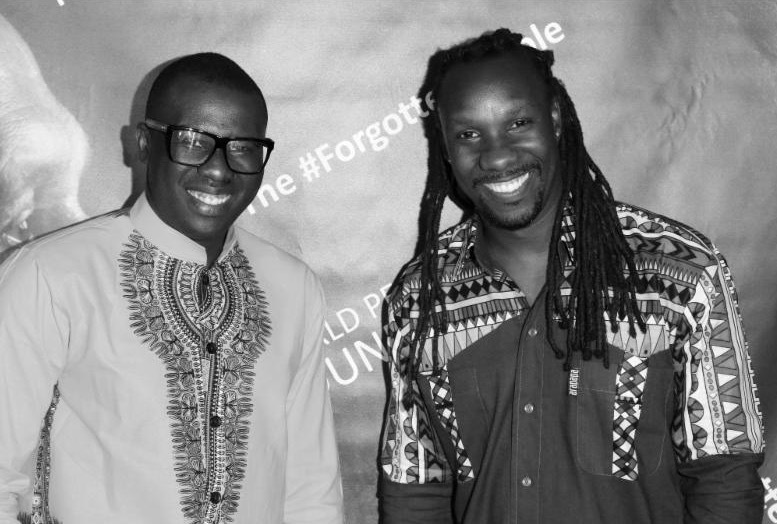 Films from the United States make a strong showing at this year’s festival. Among them is Keep the Change, which won Best Narrative Feature and Best New Narrative Director at the 2016 Tribeca Film Festival. This rom-com set in New York City portrays the burgeoning love story of two adults on the autism spectrum. The film is entertaining as a universal love story, but it is also unique in that a number of the starring cast members have autism themselves. Screenwriter and director Rachel Israel and lead cast members Brandon Polansky and Samantha Elisofon will be in attendance at the November 5 matinee screening to speak with the audience after the film. The festival is proud to present the Australian documentary On the Banks of the Tigris: The Hidden Story of Iraqi Music, a moving film about the meaning of home and the power of music. The film follows Majid, a Muslim who escaped from Iraq, who embarks on a musical odyssey to uncover the hidden story of Iraqi Jewish musicians. The film will be followed by remarks and a short musical performance by CUNY professor and professional musician Dr. Samuel Torjman Thomas. Among the festival highlights are three Holocaust-related films: 1945, A Bag of Marbles, and The Invisibles. 1945, a recent Hungarian release, is a stunning drama, shot in black and white, that deals with the destructive nature of anti-Semitism in a rural Hungarian town in 1945. (Based on the short story “Homecoming” by Gábor T. Szántó, who will speak at one of the screenings.) A Bag of Marbles showcases the fortitude and resilience of two young Jewish brothers who must flee occupied France for the Free Zone in 1941. Recommended for middle and high school students, this film will be screened several times during the festival, including a free screening for students, presented in partnership with the Herbert and Leonard Littman Families Holocaust Resource Center at the Bildner Center. The Invisibles, a docudrama, is a dramatic thriller about four young German Jews who manage to survive the Third Reich in Berlin living in plain sight. Closing night features The Testament, a riveting drama about an Israeli historian whose fight against Holocaust deniers in Austria leads to a shocking discovery about his own family’s secrets. An additional matinee screening will be held on November 2 at AMC. 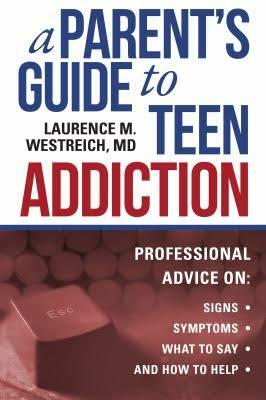 Dr. Laurence Westreich is the author of two books for general audiences, Helping the Addict You Love and, out this month, A Parent's Guide to Teen Addiction. The current opioid crisis and heightened concern about teen use (and abuse) of drugs and alcohol make his visit extraordinarily timely. Dr. Westreich's mission is to enlighten parents, educators and all who are involved with and concerned about adolescents to understand what addiction is, the signs to look for, and what to do when we see them. Westreich will speak at an appearance cosponsored with Temple Sharey Tefilo-Israel. In addition to teaching and research at the NYU medical school, Dr. Westreich is a consultant to Major League Baseball and maintains a private practice in New York City and Montclair. 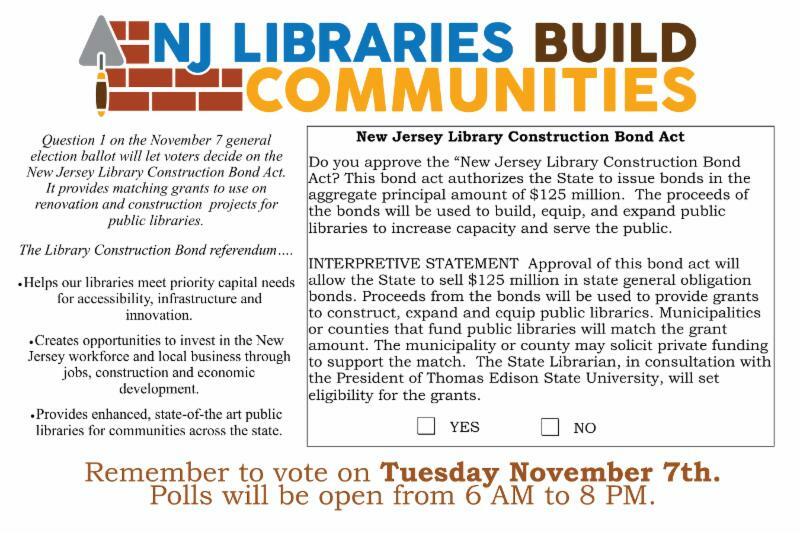 WEST ORANGE LIBRARY PATRONS: VOTE TO SUPPORT THE NJ LIBRARY CONSTRUCTION BOND ACT ON NOVEMBER 7TH! Election Day, Tuesday November 7th, will be here before we know it. We want to bring your attention to one specific question on the ballot regarding The New Jersey Construction Bond Act. If approved, The New Jersey Library Construction Bond Act will provide $125,000,000 for construction and renovation projects in NJ libraries. The bond act aims to upgrade public library facilities while also improving the NJ economy through the jobs these construction and renovation projects will create throughout the state. Thank you for taking the time to read this email and thank you for your continued support and patronage of our library! 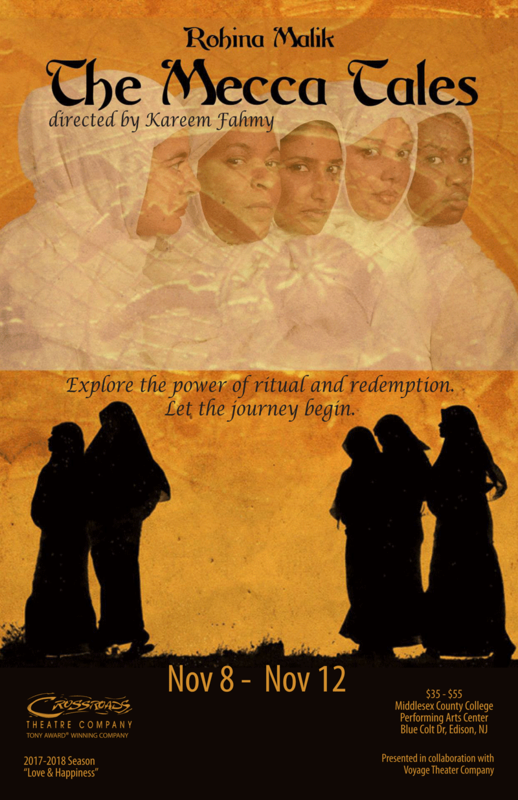 WHEN: November 2 through 6; Thursday, November 2 at 7:30PM; Friday, November 3 at 8PM; Saturday, November 4 at 2PM; Sunday, November 5 at 5PM and Monday, November 6 at 7:30PM. TICKETS: are $12.50 for adults and $10.00 for children under 12. For more information or to purchase tickets visit centenarystageco.org or call the Centenary Stage Company box office at (908) 979 – 0900. The box office is located in the Lackland Performing Arts Center at 715 Grand Ave. Hackettstown, NJ. The box office is open Monday through Friday from 1 – 5PM and two hours prior to each performance. Centenary Stage Company can also be found across social media platforms; Facebook, Twitter and Instagram. Like and follow to receive the latest in Centenary Stage Company news and special offers. The Emmy Award – winning 1970s Saturday morning cartoon series that taught history, grammar, math, science, an politics through clever, tuneful songs is instructing a whole new generation to Unpack Your Adjectives and do The Circulations! Tom, a nerve-wracked school teacher nervous about his first day of teaching, tries to relax by watching TV when various characters representing facets of his personality emerge from the set and show him how to win his students over with imagination and music, through such beloved Schoolhouse Rock songs as Just a Bill, Lolly, Lolly, Lolly and Conjunction Junction. Originally adapted and produced for the stage by Theatre BAM from the series created by George Newall and Tom Yohe and based on an idea by David McCall, Schoolhouse Rock Live Jr. features a book by Scott Ferguson, George Keating and Kyle Hall; music and lyrics by Lynn Ahrens, Bob Dorough, Dave Frishberg, Kathy Mandry, George Newall and Tom Yohe. Directed by Centenary University Assistant Professor of Theatre and Centenary Stage Company’s Young Audience Series director, Lea Antolini–Lid. 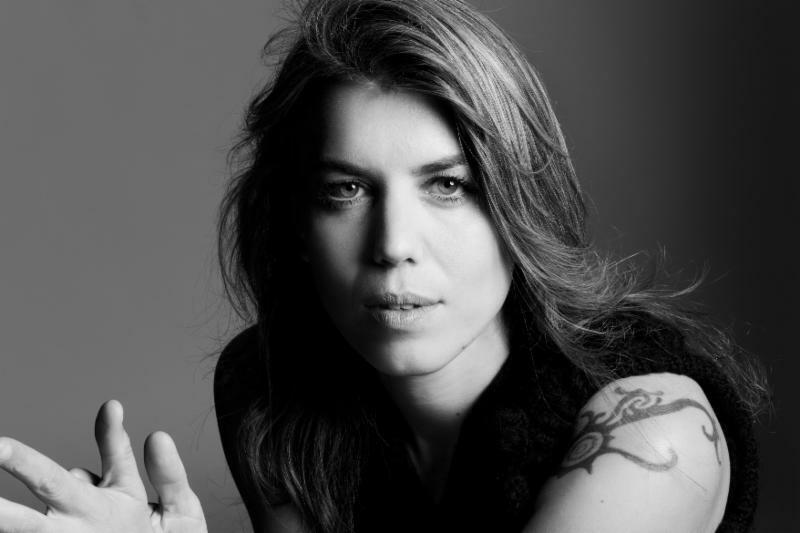 Antolini–Lid received her BMA in classical voice from the University of the Arts and her MFA in acting from Brandeis University where she also had the opportunity to teach movement for the actor under the tutelage of Susan Dibble. 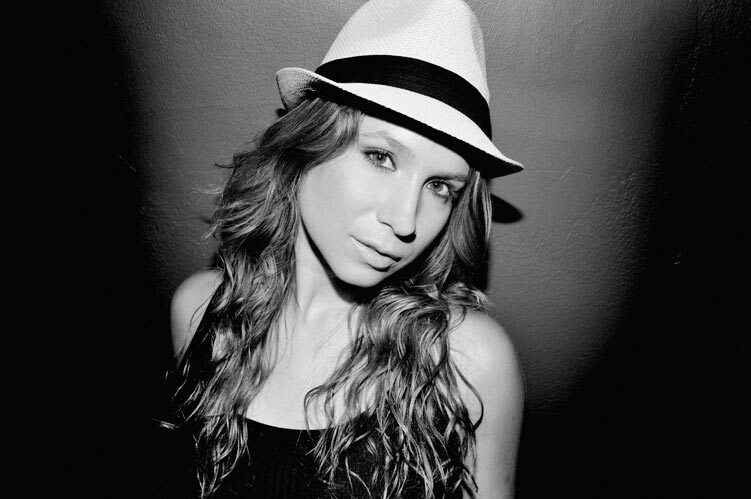 She has performed professionally in NYC and in cities on the east coast. Recent credits: Working, The Last Five Years, The Fantasticks! (Women’s Theater Company of NJ); The Learned Ladies, Mary Poppins, Peter Pan, The Wizard of Oz, Oliver!, A Christmas Carol and Christmas at Small’s Empire Music Hall (Centenary Stage Company); A Year with Frog and Toad, Mid – Summer Night’s Dream, Junie B. Jones and Suessical (The Growing Stage Theater Company); 400 Parts per Million, Lying (Blessed Unrest Theater Co. NYC). The cast features Centenary University students in all roles from performing to technical and stage management. NEXTstage Repertory is the all student production company highlighting the close collaboration between the Centenary University Theatre Department and the professionally producing Centenary Stage Company. WHEN: Fridays: November 3, 17 at 8:00pm; Saturdays: November 4, 11, 18, at 8:00pm; Sunday: November 12, 19 at 3:00pm. A talkback will be held following the Sunday, November 12 performance. Audiences are invited to join in a special wine and cheese reception in the theater lobby following the opening night performance. 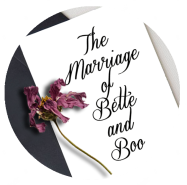 The Marriage of Bette and Boo is an illuminating, hilariously dark dissection of marriage and the family in contemporary America by theatre’s master satirist. Conveyed in a series of dazzlingly inventive interconnected scenes, the play moves wickedly on through three decades of divorce, alcoholism, and madness—all with farcical brilliance. 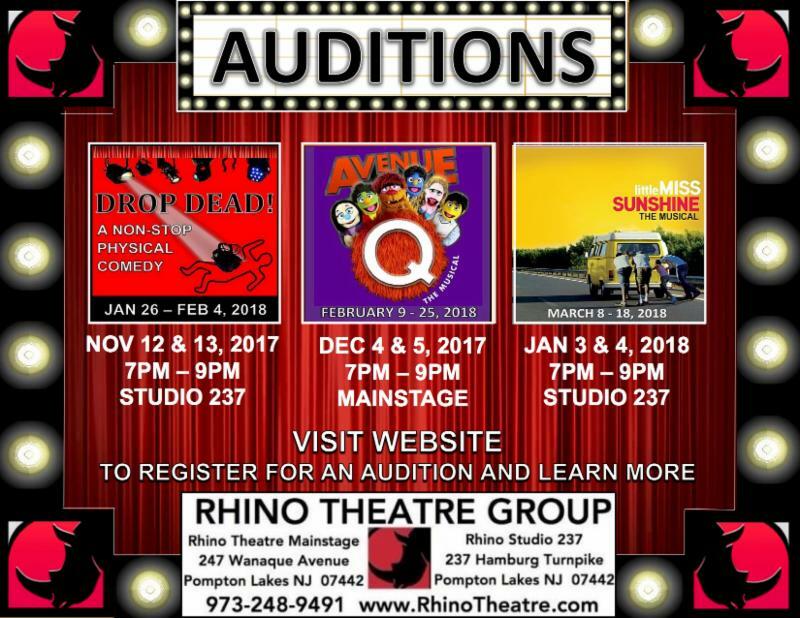 Appearing in the cast are: Kevin Albanese of Woodbridge as Matt; Alicia Harabin of Somerville as Bette Brennan; Bobby Marusiefski of Rahway as Boo Hudlocke; Nancy Jean McBride of Bernardswille as Margaret Brennan; J.D. Robinson of Highland Park as Paul Brennan; Kate Murray of Somerville as Joan Brennan; Adriana Spizuoco of West Orange as Emily Brennan; Lewis Decker of Millington as Karl Hudlocke; Alison Byrne of Metuchen as Soot Hudlocke; Bob Dumpert of Franklin as Father Donnally.